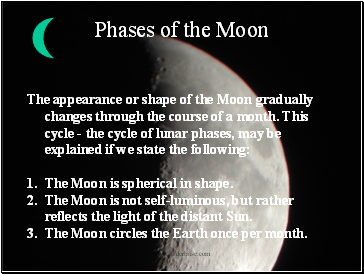 The Moon is spherical in shape. The Moon is not self-luminous, but rather reflects the light of the distant Sun. 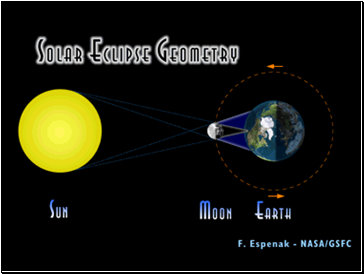 The Moon circles the Earth once per month. 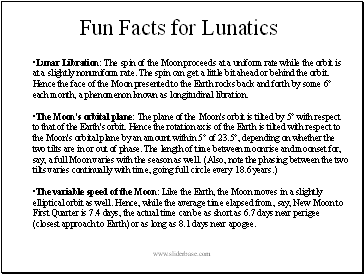 Lunar Libration: The spin of the Moon proceeds at a uniform rate while the orbit is at a slightly nonuniform rate. 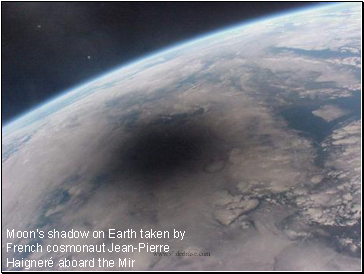 The spin can get a little bit ahead or behind the orbit. 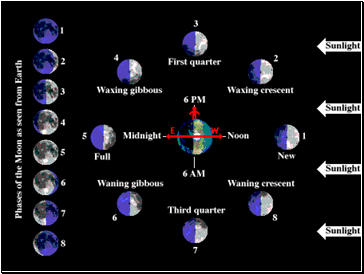 Hence the face of the Moon presented to the Earth rocks back and forth by some 6° each month, a phenomenon known as longitudinal libration. 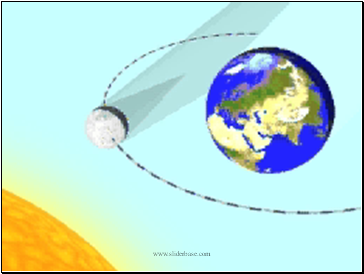 The variable speed of the Moon: Like the Earth, the Moon moves in a slightly elliptical orbit as well. 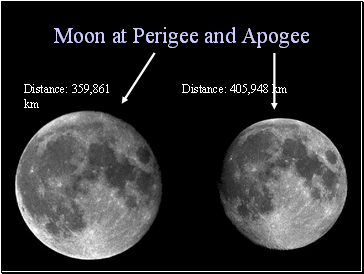 Hence, while the average time elapsed from, say, New Moon to First Quarter is 7.4 days, the actual time can be as short as 6.7 days near perigee (closest approach to Earth) or as long as 8.1 days near apogee. 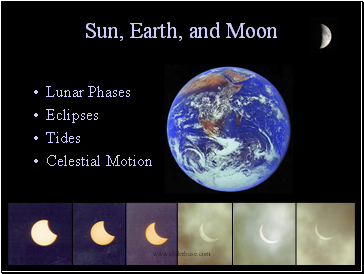 Celestial bodies are always “eclipsing” or moving in front of each other. 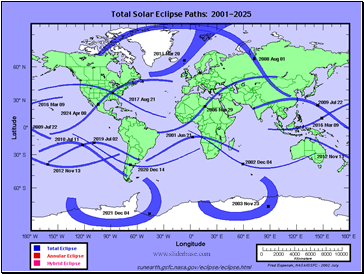 Eclipses occur at predictable intervals. 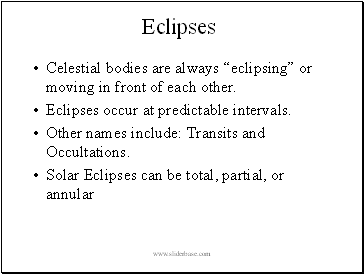 Other names include: Transits and Occultations.